To guide individuals to accomplish what they thought impossible! “Coach Ken” Johnson is a Health and Wellness Coach with experience in health promotion, health and fitness online content development, program development, and performance reporting. He is a USA Triathlon Certified Coach and NASM Certified Personal Trainer, with ten years multisport coaching, education, and management experience in the largest municipal fitness facility in the United States. Johnson is a also freelance writer on health, wellness, endurance sports, and local events for a variety of online content providers. 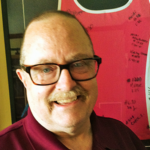 He was Chicago Wellness Examiner, Milwaukee Triathlon Examiner, and National Endurance Sports Examiner on Examiner.com, and Beat Writer for AXS. His articles have also appeared on the USA Triathlon Multisport Zone, Chron.com, Livestrong.com, and Chicago.CBSLocal.com. Coach Ken holds a M.S. in Exercise Science with specialization in Health Promotion, a Wellness Coaching Certificate, and a MBA with Marketing Emphasis.